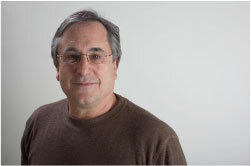 Gordon Freedman helped evolve the fields of education technology and online learning and is now an advocate for broad-based change across the K-to-Career spectrum. 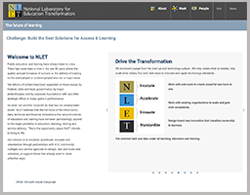 Freedman is President of the National Laboratory for Education Transformation (www.NLET.org), a California-based 501(c)(3) non-profit committed to transforming 20th century education into 21st century learning. Freedman founded NLET to create an organization that looks three to five years into the future, acting as a broad social, research and organizational platform for the alignment of education and training with the technology of the knowledge economy and youth culture. The nonprofit has received federal and foundation grants in partnerships with universities, community colleges, school districts and research institutes. 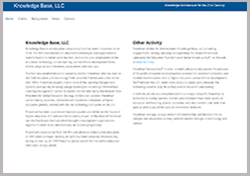 Freedman also manages Knowledge Base, LLC, a consulting firm established in 1998 to provide services to institutions, publishers and education technology companies. Freedman formerly served as Vice President Global Education Strategy, Blackboard Inc, during its growth from 100 million dollar in annual revenue to an exit at 1.4 billion dollars. During his tenure, Freedman traveled to 19 countries examining learning models and policy strategies, launched the Blackboard Institute and provided thought leadership for the company globally. He was part of the start-up of California State University Monterey Bay, the Prometheus Learning Management System at George Washington University, and the online learning portal, HungryMinds. Freedman’s background in film and television included producing at ABC News in Washington, DC and in Los Angeles as an executive producer of every type of production except comedy. He won Emmy nominations and a Grand Jury Prize at the Sundance Film Festival for his film documentary about Stephen Hawking, A Brief History of Time. Freedman is the co-founder of the International School of Monterey, a K-8 California charter school, and is a former fellow at UC Berkeley and SRI.com. Freedman founded Knowledge Base, LLC in 1998 to provide consulting, advisory and start-up services to ed tech companies, publishers and K12 and higher education institutions. www.KB-LLC.com.